Patrick Drahi could scrunch big cost savings out of a deal with France’s third-largest mobile telco. But his Numericable-SFR will have to work hard for regulatory approval and the mooted 10 billion euro price tag for the Bouygues enterprise – 14.4 times 2014 EBITDA – is huge. 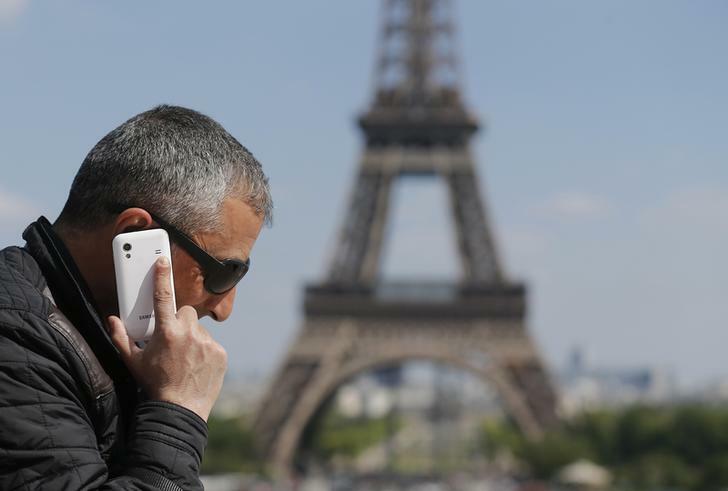 A man makes a phone call using his mobile phone at the Trocadero Square near the Eiffel Tower in Paris, May 16, 2014. European telecom group Altice said on June 22 that it had made an offer to buy smaller rival Bouygues Telecom via its subsidiary Numericable-SFR, France’s No.2 mobile operator. The offer price is just over 10 billion euros, according to a person familiar with the situation. The move, which was first reported by the Journal du Dimanche, would reduce the number of major players in the French mobile market from four to three. On June 21, Economy Minister Emmanuel Macron said the time was not right for consolidation in the sector, which he said needed investment. Numericable-SFR said it had entered into exclusive negotiations with Iliad, the smallest of the big four, about a resale of a portfolio of assets. Altice has bought U.S. cable company Suddenlink, Portugal Telecom and SFR in the past 18 months. At 1100 GMT, shares in Bouygues rose 13.6 percent to 38.2 euros, while shares in Numericable-SFR were up 13 percent to 54.2 euros. Meanwhile, Altice shares rose 19 percent to 137.3 euros a share.